1: Short story with audio, Sholem Aleichem’s “Tevye Strikes It Rich," 1895, Yiddish with translation. Here, in the second paragraph of one of the earliest Tevye stories, Tevye sets the scene, and Sholem Aleichem gives the reader a sense of who he is as a character. 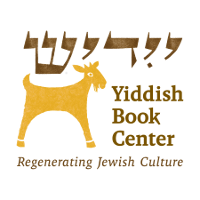 Suggested activity: Listen to the audio in Yiddish and have the students read along in English. Read the English aloud. Ask: what do you notice about the way the character, in the audio version, speaks? What impression does this passage—written and spoken—give us of Tevye as a character and storyteller? Why would Sholem Aleichem have Tevye begin this way?